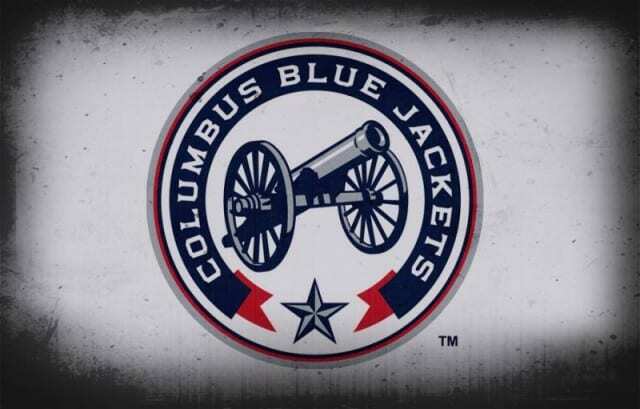 Hockey is on the rise in Ohio, and the Blue Jackets are a gritty hard working team. The NHL roster has a nice mix of skill, grit, experience and youth, as GM Jarmo Kekalainen and his staff have done a fine job. While the team struggled mightily with injuries, it created an opportunity for some of their kids to get some real exposure in the NHL and the kids looked alright. In addition to the under 21 year old players who saw NHL ice time there is an impressive crop of prospects behind them on the way as well. The Blue Jackets may be a tough team to play against now, but that is only going to get worse for their opponents as their prospects continue to mature. Bjorkstrand had a monster season leading the entire WHL in scoring with 118 points and was part of a dominant line for Denmark at the World Juniors, where he scored four goals and five points in five games. He represented his home country of Denmark at the World Championship playing against men, but was help pointless in three games. While playing for Denmark, Columbus Head Coach Todd Richards got a firsthand look while behind the team USA bench and believes Bjorkstrand will push for a NHL roster spot. While smallish by NHL standards, Bjorkstrands goal scoring prowess and hockey sense should allow him to succeed at higher levels. He is now 20 years old and will begin his pro career, and make the push for a NHL job out of training camp. Drafted: 8th overall in the first round of the 2015 draft by the Blue Jackets. Drafted: 19th overall in the first round of the 2013 draft by the Blue Jackets. The big gritty winger had his rookie pro season playing the majority of the season in Springfield where he impressed with 33 points in 51 games with a plus -7. Rychel was also one of the players to benefit from the injury plagued season in Columbus as he made his NHL debut playing in five games and recording three assists. Rychel will push for a full time NHL job as soon as this season and will eventually see full time. The son of former NHL tough guy Warren Rychel has far more offensive upside than his Dad and projects to be more of a top six power forward than a fourth line fighter. Drafted: 16th overall in the first round of the 2014 draft by the Blue Jackets. Milano became a youtube sensation with his eye-popping stick skills and hand eye coordination. After being drafted he made the move to the OHL and was impressive in Plymouth where he scored 68 points in 50 games and was a force for team USA at the World Juniors, scoring another four points in five games. Upon completion of his OHL season, he was assigned for the final ten games of the AHL season with Springfield where he managed to pick up five assists. He has blazing speed, quick hands and a goal scorer’s touch. Still only 19 years old he is too young for the AHL and likely has another year of junior where he will dominate and lead team USA for his final tour at the World Juniors. Drafted: 53rd overall in the second round of 2011 draft by the Ducks. Acquired: Columbus acquired Karlsson, Rene Bourque and a 2015 second round pick for James Wisniewski and a 2015 third round pick. “Wild Bill” ended up playing on four different teams after he was traded from Anaheim to Columbus, playing for both NHL teams and their AHL affiliates. While he played more in the AHL, perhaps his most impressive showing was in three games with Columbus while he scored a goal and added an assist. Karlsson had made the Ducks out of training camp, but only managed 18 games in Anaheim before being sent to the AHL. Karlsson was a teammate with fellow Columbus prospects Alex Wennberg and Oscar Dansk on team Sweden at the WJC winning Silver in 2013 and Gold medal team in 2012. After being selected in the fourth round in 2012, Anderson returned to Junior where he raised his game scoring 49 points with the London Knights, a 27 point jump from the previous season. After another 51 point season in junior, Anderson turned pro last season playing in 52 games with Springfield in the AHL and scoring a modest 17 points. While he has never been considered a prolific offensive threat, he has certainly added an element of offense to his game that compliments his rugged power game. His skating is also an asset and will help him to compete for a NHL job this season or next. Drafted: 50th overall in the second round of the 2013 draft by the Blue Jackets. The hulking defenseman is a physical shut down Dman who can log lots of minutes. He struggles offensively and makes poor decisions with the puck. Heatherington played with Swift Current in what will likely be his final season in the WHL. After seasons end he saw three games in the AHL with Springfield and recorded his first career pro point (assist) and was a plus -1. He has the size and skating ability to turn pro and should see a regular shift in the AHL working out any bugs to his game at the pro level. Drafted: 29th overall in the first round of the 2015 draft by the Blue Jackets. Carlsson is very similar to Heatherington in that he has great size, good skating and is a shutdown defender with little offensive upside. While it is hard to see either in a future top pairing position in Columbus, the two together could be a formidable bottom pairing who are hard to score against and a nightmare to go into the corner with. Drafted 38th overall in the second round of the 2015 draft by the Blue Jackets. Bittner is yet another big player who is not afraid to throw his size around. In an era starting to lean towards the smaller skilled players, Columbus is embracing the bigger players who are also skilled. Bittner has been developing consistently with Portland in the WHL seeing his point totals rise from 23, to 49, to 71 over the last three seasons. Bittner is too young for the AHL and will likely return to junior for another season before turning pro next year. Drafted 31st overall in the second round of the 2012 draft by the Blue Jackets. Dansk has seen his stock rise and fall from year-to-year. In 2012 he came to North America to play junior for a terrible Erie Otters. Then McDavid changed that teams fortunes and Dansk had a breakout year posting a 29-9 win record with a 2.39 GAA and a .909 save percentage. The following year Dansk turned pro and struggled in both the ECHL and AHL. With a 1-8 ECHL record it would be easy to write Dansk off, but the big netminder still has starting goalie potential. He is big, technically sound, and very athletic. Recent Roster Graduates Boone Jenner, Ryan Murray, Alex Wennberg. Players under 25 years old and with less than 25 career NHL games played qualify as a prospect for purpose of this list. Catch up on any Top 10 Team Prospect list that you may have missed.